"One of the few genuine classics of detective fiction." — The New York Times. Written in reaction to what Bentley perceived as the sterility and artificiality of the detective fiction of his day — particularly stories that featured infallible detectives of the Holmesian stripe — Trent's Last Case (1913) features Philip Trent, an all-too-human detective who not only falls in love with the chief suspect but reaches a brilliant conclusion that is totally wrong. The case begins when millionaire American financier Sigsbee Manderson is murdered while on holiday in England. A London newspaper sends Trent to investigate, and he is soon matching wits with Scotland Yard's Inspector Murth as they probe ever deeper in search of a solution to a mystery filled with odd, mysterious twists and turns. 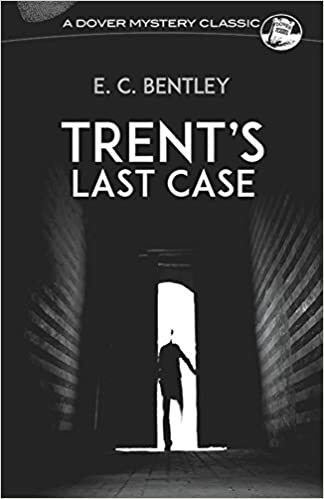 Called by Agatha Christie "one of the best detective stories ever written," Trent's Last Case delights with its flesh-and-blood characters, its naturalness and easy humor, and its style, which, as Dorothy Sayers has noted, "ranges from a vividly coloured rhetoric to a delicate and ironical literary fancy." New Introduction by Douglas G. Greene.